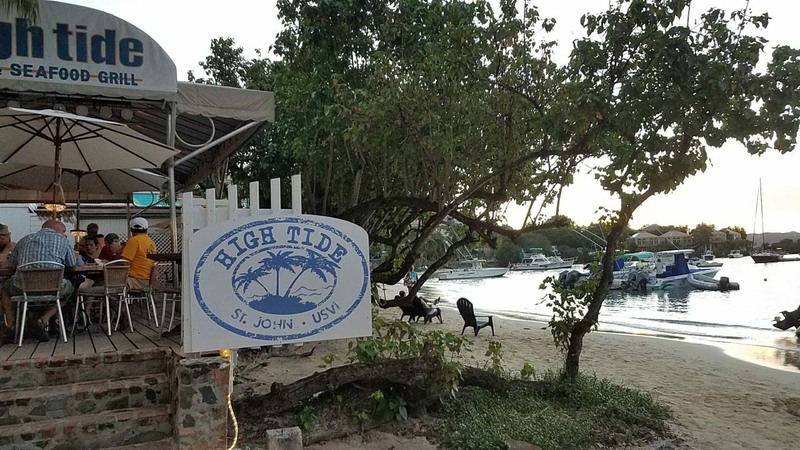 High Tide Bar and Seafood Grill, a beach bar and restaurant located next to the ferry dock in Cruz Bay, St. John in the US Virgin Islands, announced on its Facebook page that it has reopened. Offering a hearty “THANK YOU” for the support they have received since the hurricanes, the popular waterfront eatery reopened on Sunday, February 5th. 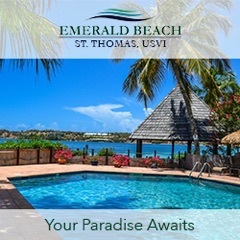 In an article posted by News of St. John, the author stated that the current menu is “snack-like” with plans to begin serving a full menu this weekend. The article also went on to state that the restaurant is only accepting cash for the time being. Be sure to check out the article and comments section for more info on High Tide’s The Dock along with Margarita Phil’s. 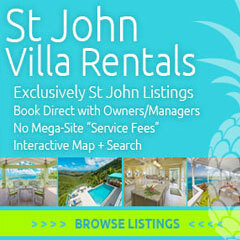 Unfortunately, a couple of Cruz Bay’s other popular spots, Joe’s Rum Hut and the Beach Bar, remain closed. However, I will post updates on their statuses as soon as they become available.